We in HSD's Teaching and Learning department exist to support the work of instructional improvement in our schools. We are here to serve! In order for us to maximize our resources including our people and their time in the most impactful way, please contact your principal to request TOSA support. TOSA time will be prioritized based on SIP goals of the school and their capacity to serve needs in a timely way. We look forward to supporting your work in effective implementation of quality instruction and building great classroom experiences for kids. ariaEugenia supports PK-12 Dual Language Programs, principals, and staff in the areas of Spanish Literacy, Spanish Language Development, and Spanish Foundational Skills. 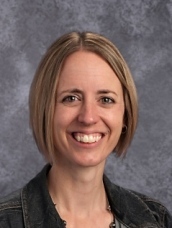 She also supports Professional Development and common assessments as it relates to authentic and current literacy research and best practice in order to support SIP literacy and language development goals across the district. Please contact MariaEugenia Olivar at olivarm@hsd.k12.or.us. Carissa is available to provide direct support to AVID Coordinators, AVID Elective Teachers, AVID Tutors, and Site Teams to improve and expand implementation of the AVID Elective. Additionally, Carissa is available to work with Instructional Coaches and PLCs to support the implementation of AVID Schoolwide through the use of WICOR strategies (Writing, Inquiry, Collaboration, Organization, Reading). She can help plan professional development, accompanying teachers on instructional rounds, provide resources, etc. Please contact Carissa Fleming at flemingc@hsd.k12.or.us or (503) 866-4081. Sandie is able to provide K-12 support in several areas relating to science and STEAM. This includes providing school support in developing an understanding of and aligning to the Oregon 2014 Science Standards (Next Generation Science Standards), implementation support with new science instructional materials (after the adoption is complete), and accessing resources, professional development, and partnerships provided by the Portland Metro STEM Partnership. Sandie also supports afterschool STEAM programs (program development, volunteer recruitment, accessing resources/funding, etc.) and STEM/STEAM school support (grant writing, professional development, STEM Investment Plan development. Please contact Sandie at grinnels@hsd.k12.or.us or (928) 310-6113. Leona assists with the coordination and implementation of the Migrant program to meet both student and community needs. She also coordinates migrant recruiters and acts as the Director of Federal Programs’ liaison with ESL/Migrant Case managers to support migrant students and families at the school level, district level and state level. Leona is a huge support for extended day and summer school opportunities for our migrant population. Please contact Leona at guthriel@hsd.k12.or.us or ext. 1564. Andy serves the teaching and learning needs of high school math and science teachers, students, and building administrators. He provides curriculum and digital platform support for the HMH AGA math program, as well as for the Physics 1 course. He is also facilitating the high school chemistry adoption during the 2017-18 school year. He facilitates educators’ professional learning based on current mathematical research and effective practices. Andy is on the planning team for the NW Math Conference and also serves on the board of the Oregon Science Teachers Association, where he helps facilitate statewide professional learning in the Oregon Science Project. Please contact Andy at byerleya@hsd.k12.or.us or at (503) 577-1557. Jeniffer supports K-12 Bilingual Program, content teachers, and building administrators. K-12 Bilingual Program include EL Case Managers, EL Specialists, and Bilingual Assistants. She helps support all teachers to implement effective sheltered and FIELD instruction for all K-12 EL students. Jeniffer also supports all District priorities, ELP Standards for speaking, listening reading and writing, professional development, and common progressing assessments as it relates to current ELPA21. Please contact Jeniffer Modolo at modoloj@hsd.k12.or.us. Morgan coordinates programming and resources for planning and implementation of district-wide pro-active support systems for students who are considered to be “at-risk”. She assists buildings to use data to identify students in need and to create a predictable system of support. She does this through mentoring, professional development, and professional collaboration opportunities for Administrators, Graduation Coaches, Student Support and Wellness Counselors, Academic Options Teachers and counselors. Please contact Morgan Quimby at quimbym@hsd.k12.or.us. Kristin is coordinating the implementation of Senate Bill 856 (commonly known as “Erin’s Law”) at the high school level. This involves facilitating the selection/adaptation of curriculum, professional development for staff, and parent/community outreach. She is available to teach the mandated sexual violence prevention content at the junior and senior levels and supports all other staff members involved with its dissemination. Kristin will also be assisting with the Health curriculum adoption and is available to support health teachers/departments as requested. Please contact Kristin Blomberg at blomberk@hsd.k12.or.us.